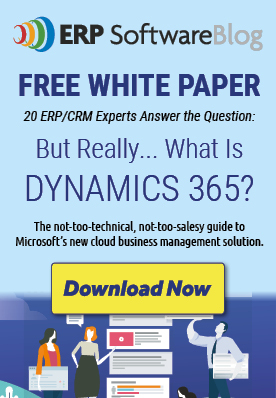 Would you like to get the most out of your Microsoft Dynamics GP? Do you have deadbeats hogging your GP licenses? Do you want to reduce your transaction lookup speed in Dynamics GP from 17 seconds to 2 seconds? Do you want to track data changes in GP, including at the SQL level? Are your pricing updates ugly? Do you want access to any report, anytime, anywhere? If you answered YES to any of these questions, Rockton Software has the solution for you! Dynamics GP Toolbox: 27 helpful tools in once convenient package to enhance system security, accelerate IT administration, simplify business processes, and improve the user experience. SmartFill: Find information up to 83% faster with Rockton Software’s quick and easy google-style data search tool. Auditor: Changes happen. Now you have a way to track them all. Omni Price: Manage nearly every pricing situation you can think of, and a bunch you haven’t. Dynamics Report Manager: Rockton Software has made reporting so fast and easy, you’ll want to send us flowers. Rockton Software is a Gold Certified Microsoft Partner with CRM, ERP, and ISV competencies. We’ve been a Microsoft Dynamics GP ISV for over 18 years with more than 2,000 customers representing 70,000 seats. Beyond the Dynamics GP channel, our latest developments include a series of versatile business apps for Microsoft Dynamics 365. We have three office locations: Lafayette, Colorado; Fargo, North Dakota; and Sandpoint, Idaho. Our goal is to make your work simpler & easier®.